Twaróg, also known as ser biały, white cheese, is a pot cheese or farmer’s cheese. I made a batch this weekend because I wanted to make a Polish cheesecake. I didn’t expect to fall in love, but I have. After one day in the fridge, the curds that I blitzed to make them creamy and smooth for my pastry had a wonderful, tart, salty taste with just a hint of sweet. I can imagine using this cheese in so many ways, in recipes that I might have previously made with cream cheese, Brie, or ricotta. I could serve it with a tart jam or pepper jelly on crackers. I can also imagine popping twaróg into the oven with brown sugar and pecans, serving the melted, caramely goo over little triangles of pumpernickel. It would also be delicious mixed with finely diced or grated veggies. If you run it through a food processor, it would also be fantastic on a toasted bagel. In case you’re wondering, this is also the cheese that you would use for my favorite, pierogi ruskie, filled with cheese and potato. The twaróg was surprisingly easy to make, but I found that I like the taste better after it had aged in the fridge overnight, so I’ll recommend not making it at the last minute even though you could. You can toss the liquid left behind, but many people like to save the whey for smoothies, soups, or bread making; just use the whey for part of the liquid in your recipe. The cheese I whipped up made a wonderful cheesecake, the best sernik I’ve ever tasted. There are two key differences between American and Polish cheesecake. Polish desserts are less sweet; other than that, it’s all in the cheese. OH MY GOODNESS! Thank you, Oh Queen of Polish Cuisine! LOL! My pleasure, Michelle. Enjoy! I have difficulty finding dry cottage cheese for my sernik so THANK YOU Lois. Looks fairly easy to make. Almost looks like ricotta but richer with the addition of buttermilk. Autumn has arrived here in Ottawa as we went from the 30’s Celsius as the high just two weeks ago to 16 Celsius as the high yesterday so it’s time to bake. It was really easy, Elizabeth, surprisingly so. Enjoy your fall baking! If you don’t get curds, David, just add a little more vinegar. Cheesecake recipe coming next weekend! Thanks for the vinegar tip, Lois! Looking forward to the cheesecake recipe! 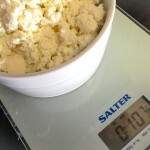 Please post your cheesecake recipe using this marvelous cheese. Will do, Kare; it’s the next post I’m writing. Should be up by next weekend. This is so much better than cream cheese. Thank you for sharing your Polish cheesecake with us. It was a definite hit at our ;house. It has so much more flavor than “american style” cheesecake, not as sweet, and you can actually taste cheese in it. I’ve had only limited cheese-making experience, but I’m going to be making this one. 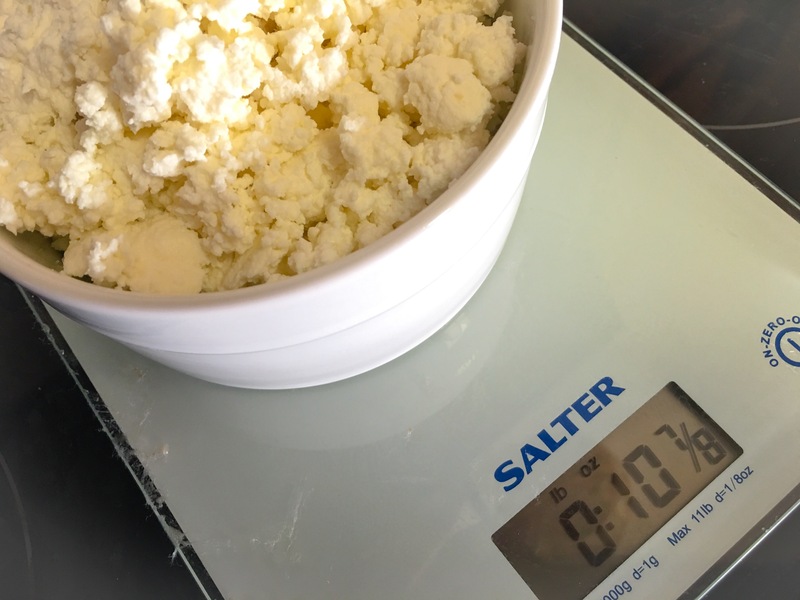 Thank you for this Farmer Cheese recipe! I was looking for a good one to fill my cheese pierogi, my favorite! I will try this! I think it will be just right for cheese pierogi! Enjoy! Unfortunately for me, I have been put a on a very restricted low carb food plan for diabetes. I miss my Polish food and have been trying to adapt recipes. Do you by any chance know the nutrition information for Twarog? I love your recipes! Thank you. I use the free version of this app. They have an amazing amount of foods in the database. I made this cheese today… it was wonderful. I will never buy store-bought farmer’s cheese again. So fresh and flavorful! I used it to make pierogi… I split it between some sweetened cheese and some of Polish Housewife’s Pierogi Ruskie (potato/ cheese). Delish! That sounds so good, Annie! I use this recipe all the time. I just double the ingredientes and it makes about 3 lbs. It’s easy. Hi Lois, Going to make this Twaróg from our cousins dairy down the road. We are going to use their raw milk. (Non pasteurized and non homogenized) The butter fat content will be much greater. My question is will the Twaróg be sweeter with the higher butter fat content? Hey, John, I’m no expert in this area. Your cousin might have better input!